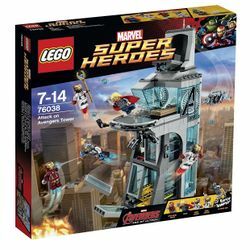 76038 Attack on Avengers Tower is a Marvel Super Heroes set released in 2015. This is a description taken from LEGO.com. Please do not modify it. 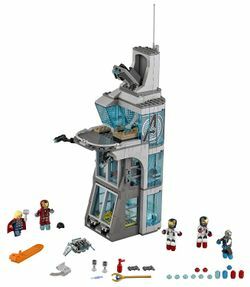 (visit this item's product page) Reclaim the Loki Scepter and stop Ultron’s attack on Avengers Tower! The set as seen in a German catalogue. Facts about "76038 Attack on Avengers Tower"
This page was last edited on 15 March 2016, at 06:09.